An understated elegance and savvy sense of style make these personal checks a unique selection. The swirling flowery print emerges gracefully from the corner, and subtle pastel backgrounds are flecked with white speckles. If you have an eye for detail and love little finishing touches, these checks are the perfect choice. Flower-Filled Corner Side Tear Checks are one of many attractive designs from CheckAdvantage featuring an attractive floral scroll. 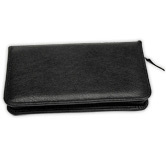 You'll be making a sophisticated fashion statement every time you open your checkbook. 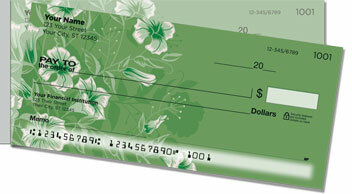 Plus, the convenient side-tear option makes it easy to remove your checks without unintentional ripping or wrinkling. Get your very own Flower-Filled Corner Side Tear Checks today! Don't forget...we also offer matching return address labels.